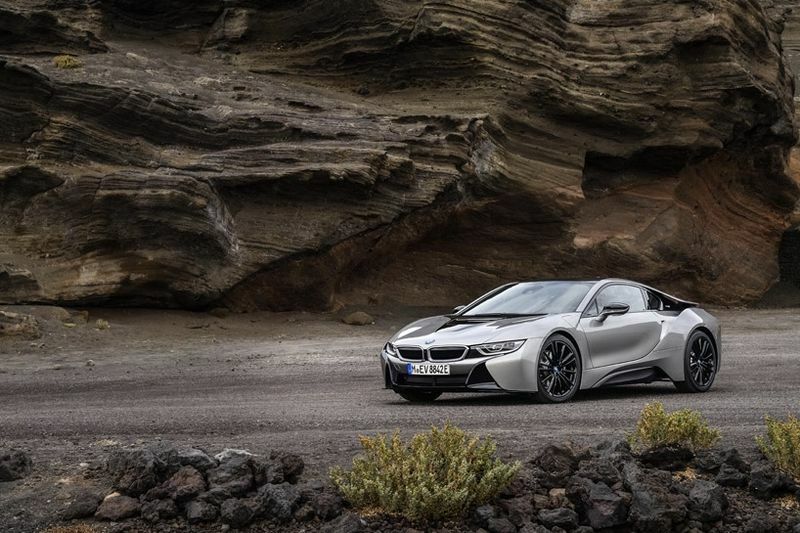 BMW has definitely done well with the i8 coupe and i8 roadster. They have created sports cars, in every sense of the word, simply put, they are fast, lighter, longer-lasting vehicles with optimized motors, precision chassis and seamless-connectivity to BMW's connected drive services. They aren't BMWs fastest cars, but they are definitely some of the most exotic. These tech machines were unleashed at the 2017 LA auto show. On an individual level, the BMW i8 has seen a solid upgrade and the new i8 roadster is just as impressive a specimen. The total unladen weight of the roadster is just 1,595 kilograms and its frameless gullwing doors have an aluminium outer shell made entirely from carbon fibre reinforced polymer (CFRP). This incredibly strong material comprises the side skirts, making the new i8 roadster as rigid as it is light. The cars' lithium-ion batteries have also seen a major revamp. The cell capacity of the high-voltage units (located centrally in the car's underbelly) is up from 20 to 34-ampere hours and subsequently, the gross energy capacity has spiked from 7.1 to 11.6 kilowatt per hour. Both the models travel up to 120 km/h on electric power alone and the total range of the new BMW i8 cope is 55 kilometres and the roadster is 53 kilometres. Available in warm, e-copper metallic and ultra cool, Donington grey metallic finish, the i8 line-up is CO2 emission-free and packed with great details (old and new). They might still lose a drag race to the M6, but these new beemers are bound to attract major attention all over.